The Ratnagirishwarar Temple is a result of some locals that came together in the year 1972 who aspired to have a place of worship for the local community. For the same purpose, they approached Sri Paramacharya of Kanchi Kamakoti Mutt who forecasted that there would be a Shiv lingam found in the seashore off the Thiruvanmiyur coast. This lingham was eventually found after three months, following the forecast, and a temple was constructed to accommodate it. This is how the Ratnagirishwarar Temple came into existence. Being a Shiva temple there is also an idol of Lord Ganesh in here. The temple has enthralling rituals every day. How popular is Ratnagirishwarar Temple? I love this neighbourhood temple! Been going to this place since childhood. Nostalgic memories associated with this place seeing my grandfather and whole family visiting this place for years and years. Very nice cosy temple. Well managed. Lots of cultural events. 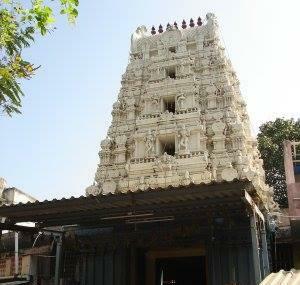 It is temple dedicated to Lord Siva. The idol was found from the sea and was brought to the shore and installed here. It is run by a trust. The temple is maintained neat and clean.A small stage is here and the discourses and music performances are held periodically. It attract lot of devotees every day.